HARBOR SPRINGS – Boyne Highlands Resort’s premier Heather and Moor golf courses will welcome a standout field of 165 golfers Wednesday and Thursday for the 36th GAM Mid-Amateur Championship presented by OmniKinetics. Boyne Highlands is hosting the championship for Michigan male amateur golfers over age 25 for the 17th consecutive year and 21st time in the history of the event. The Highlands, also home to the Country Club of Boyne, features four courses that are part of 11 golf courses and 171 holes of golf that can be played at three Boyne Resorts in the northern section of Michigan’s Lower Peninsula. The field is split in half this year to take on the Heather and Moor courses for the 36-holes and two days of stroke play competition, and an overall Mid-Am winner and winners in three other age categories will be determined (Mid-Amateur age 25-and-over, Mid-Seniors 45-and-over, Seniors 55-and-over and Super Seniors 65-and-over). Boyne Highlands, the No. 1 choice in the “2015 Top Ten Favorite U.S. Golf Resorts for Value” by GOLF.com, has long featured The Heather, a Robert Trent Jones course that has been listed by Golf Digest among America’s 100 Greatest Golf Courses. The Heather was Boyne’s first golf course, and Jones created a classic that features wide tree-lined fairways, sculpted bunkers and challenging water hazards. The Mid-Am field is very familiar with The Heather. It hosted the 100th Michigan Amateur in 2011, and will host the Amateur again in 2020. 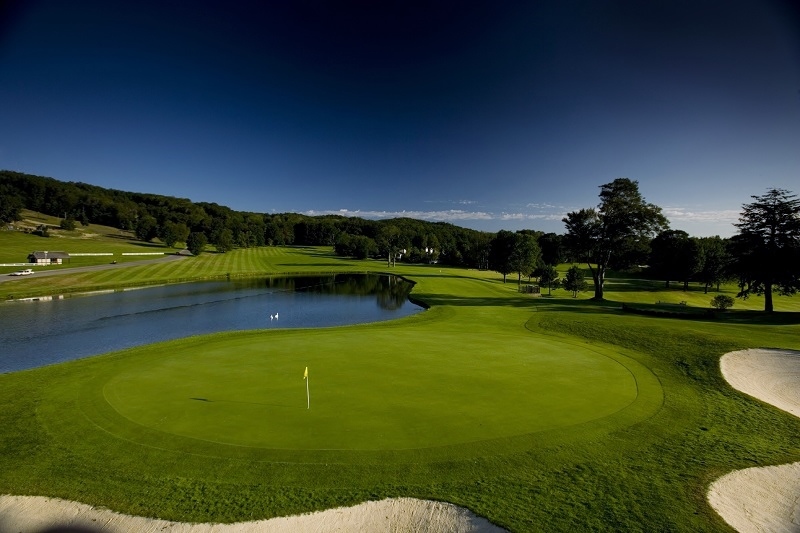 The Moor was the second course built at Boyne Highlands and challenges golfers with numerous doglegs and water hazards. It, too, has a championship pedigree as host of past Mid-Amateurs, the AJGA’s annual visit, the Kircher Cup and Harbor Cup tournaments. Nick Shaw and Jeremy Neer are the superintendents at Boyne Highlands. Josh Richter is the director of golf. Defending champion John Quigley of St. Clair Shores returns, as does three-time winner Anthony Sorentino of Shelby Township, two-time champion Greg Davies of West Bloomfield and past-champion Kevin VandenBerg of Oswego. Six-time champion Tom Werkmeister of Grandville has turned professional at age 50 and is playing on the PGA Tour Champions. Last year Quigley, a 34-year-old strategist for Blue Cross Blue Shield shot a closing 3-under 69 on the Moor course for 141 and a four-shot win. It was the first GAM title for Quigley, who was a runner-up in the Mid-Amateur in 2015 to Sorentino.